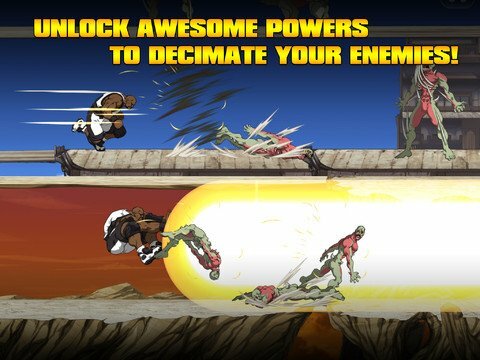 Former NBA big man Shaquille O'Neal has a new hobby: killing zombies. 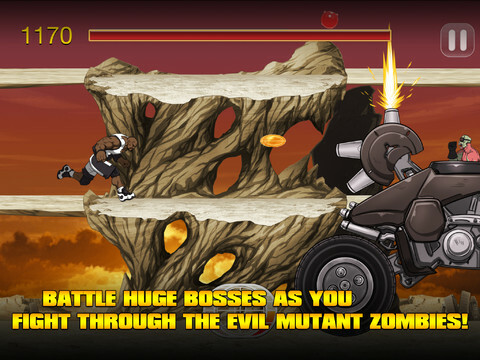 The new iOS and Android game ShaqDown pits O'Neal against hordes of hungry undead. 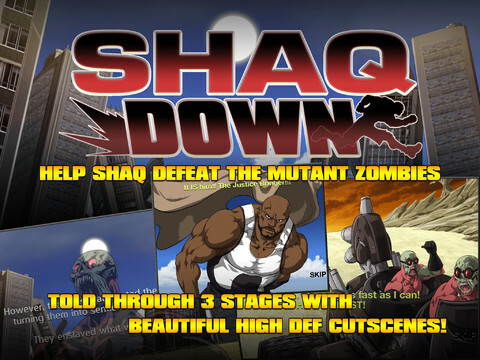 ShaqDown is a side-scrolling beat'em up. Shaq defeats enemies with his fists as well as magical abilities. 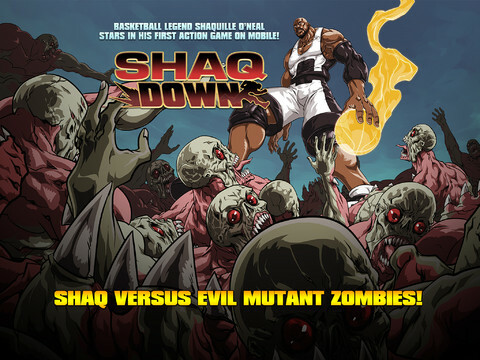 Think of it as a sort of sequel to that old EA game Shaq Fu. As you battle through the game's three stages, defeating zombies and boss characters, you'll earn a currency called "Shaqra." This currency can then be used to unlock new modes. 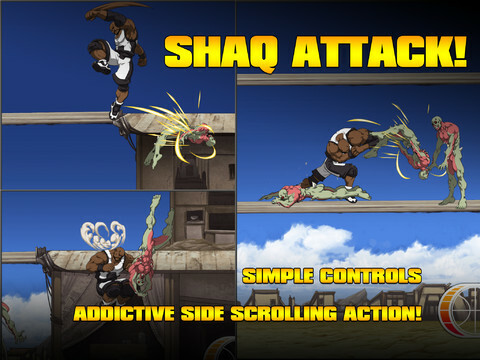 ShaqDown was developed by Hiptic Games. The studio previously released GO NINJA!, a side-scroller adventure without any NBA players. For ShaqDown, they enlisted Street Fighter artist Long Vo. The game is now available for purchase through Google Play and the App Store for $0.99.